This excellent value, quirky cottage has incredible views looking over the River Fal towards Flushing. The view from the kitchen window shows a stunning vista of boats and it is very easy to sit and watch the world sail by. The view from the main bedroom is spectacular and there is a comfortable double bed. The kitchen and cosy sitting room have everything you require for a very enjoyable holiday. The garden has a BBQ and outdoor dining table, which is perfect for having a relaxing drink in the evening sun. The vibrant centre of Falmouth, is a short walk away. This historic port has a plethora of bars, restaurants, museums and shops. There are numerous sandy beaches nearby and regular ferries run to St Mawes and the Roseland Peninsula. Harbour Cottage provides fantastically located accommodation for exploring this wonderfully diverse town and the surrounding area. 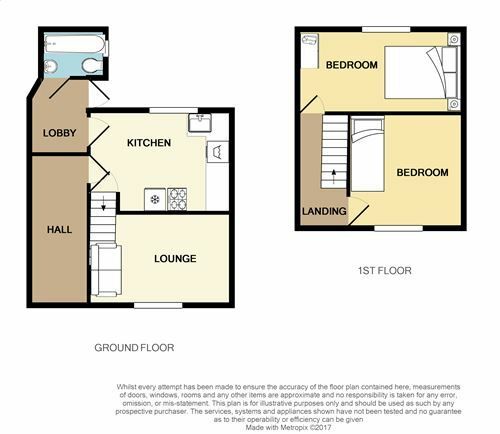 Ground Floor: Cosy sitting room with comfortable sofa, kitchen with sea views and bathroom with bath and over-bath shower, WC and hand wash basin. First Floor: Bedroom with 4'6" double bed and panoramic views. Single bedroom. External: Enclosed grassed garden with stunning views, table, chairs and BBQ. Heating is via central heating. The kitchen has table and chairs, a range of modern units with an electric cooker & gas hob, microwave, fridge with small freezer compartment, a washing machine, dishwasher, kettle and toaster. WiFi is available at the property. The sitting room has a flat screen, digital TV with freeview & DVD player. There is an iron and ironing board. Electricity, duvets & bed linen and towels are all included, however you must bring your own beach towels. There is free on-street parking. We regret no smoking is permitted within the property. The staircase is steep and narrow and is not suitable for people with limited mobility. Up to 2 small dogs are welcome at the small additional charge of £25 per dog although please remember that you cannot leave dogs unattended in the cottage alone. There is a cot and high chair available. Falmouth Regatta Week, in August is the town's major event both on and off the water, fireworks and the recent addition of the Red Arrows provides a spectacular back drop for some high class racing. Later in the year the Oyster Festival shows off the rivers heritage to the full. Pendennis Shipyard host luxury yachts for re-fit There are plenty of places to eat & drink in Falmouth and recently Rick Stein brought his Fish & Chip Restaurant & Oyster Bar to Discovery Quay adding to the superb mix across the town. Good location, comfortable but with some issues. Harbour Cottage is ideally situated for our needs with a great view over the estuary. The accommodation is comfortable if a little bit of a squeeze, particularly the stairs. We did not realise from the literature that the cottage has a communal entrance shared with the semi detached cottage next door. We were disappointed to see piles of rubbish outside the front door on arrival. As there is no parking outside the property we picked up a parking ticket for the 10 minutes our car was unattended whilst unloading. Not a happy start! The cottage had only 2 wine glasses of different sizes and 2 side plates. we purchased 4 glasses and 6 side plates to avoid constant washing up. The glasses we left at the cottage. We have booked to return to Falmouth again for New Year 2019 but not at harbour Cottage. Guest from Smethwick stayed for 7 nights. Guest from Heanor stayed for 7 nights. This the second time we have stayed at harbour cottage, we loved it so much the first time we booked it again! We are family with a 5 year old daughter. It is a lovely cottage with fabulous views of the harbour that you can see from the kitchen so even when the sun goes down you can still enjoy the beautiful harbour and look over to flushing across the water. The boat house pub next door but one is an excellent family friendly pub and we enjoyed musscle night there on Thursday. It is a short walk into town where there are lovely shops and restaurants. We really enjoyed our second stay here and would to stay again. Guest from Berlin stayed for 3 nights. We had a lovely stay at Harbour Cottage Key was in a key safe, so check-in was easy. The cottage was clean and very well equipped. The view over the harbour out of the bedroom window was a fantastic way to start in the morning. Only slight downside: parking near the cottage was sometimes difficult to find. Owner was very helpful. Door to living room came off hinges. Called owner and he came out, took door off. Gave some helpful suggestions in the area. Outstanding location. Slightly needing some maintenance but perfect for us with small dog. The harbour cottage has spectacular views of the harbour which you can see from from the bed room widow, kitchen diner and the garden. It is also next door to a great pub who do fabulous musscles! You can hear the pub when in the garden in the evening we didn't mind this but could bother some people.it is a very short walk into town.The cottage has every thing a young family needs washing machine cooker and microwave and dish washer. Tv signal wasn't great but didn't bother us.we really enjoyed our stay and would love to stay again. Guest from Lower Hartshay stayed for 7 nights. I was a bit concerned as the house looks quite scruffy from the outside and the path into the property was scruffy and litter d. However once inside it was clean and comfortable. The views were lovely and location great. If you are a light sleeper though the noise from the pub beer garden could disturb you. Guest from Bishop Sutton stayed for 14 nights. It could have been perfect we a little effort. After we have gained access to the house and shut the door, the lock jammed and we could not out, I just have to climb out of the window. Not a good start! The house was small, not like the picture at all. While the house was o'k it was not clean and we have to clean the washing bowl, the cups etc; We bought some cups and a couple of plates and some B.B.Q tools ( it says in your leaflet that there is a BBQ, but there isn't! The cooker need cleaning and there is no grill pan. The loo brush we could use at all. There were no instruction to the TV, Washing machine, Micro, and the garden & the hedge need cutting to excess the view. Guest from Torrington stayed for 4 nights. Comfortable short break in this well equipped cottage. Highlight is the garden overlooking the harbor where we spent a few very contented afternoons winding down with the inevitable bottle of wine. Small cottage . Unwelcoming hallway with bare floor boards. Tiny but modern bathroom. Kitchen fine with nice views. Main bedroom fine with nice views. Lounge very dated with woodchip on the walls, polystyrene ceiling tiles and dreadful floorboards. Needs updating in keeping with the rest of the property. Guest from Totnes stayed for 3 nights. The Harbour Cottage was absolutely fantastic for our recent stay in Falmouth. The cottage itself was in excellent condition, nicely decorated and was extremely comfortable. The stunning views and lovely garden just topped it all off! We will definitely book the Harbour Cottage again and we've already recommended it to many of our friends. Overall, couldn't be better! Guest from Sawbridgeworth stayed for 7 nights. I would not reccommed this Cottage for anyone with mobility issues; steep staircase and very small bathroom. But otherwise comfortable and good location. Harbour cottage is situated beautifully with stunning views. The master bedroom and bathroom in particular are very well decorated. We were however very disappointed to find that Harbour cottage is a split property with a shared hallway. Ordinarily this would not have been a problem for us but we were particularly upset to find that the neighbour we shared the property with was often smoking cannabis. Considering the cottage is a no smoking property the smell was really strong and made everything smell a bit stale. The neighbour clearly knew it was a problem because he regularly went into the shared hallway to try and cover up the smell with body spray. As well as this we often heard him shouting and swearing and he regularly had guests coming and going and was very noisy. Nonetheless, we did have a lovely week in Falmouth as it is a great place to visit, but on the whole I find the cottage hard to recommend, particularly for families with children due to our experience with the neighbour. Guest from Harts stayed for 4 nights. The view of the estuary from the cottage garden really is the best thing about it. It wasn't the most comfortable or most well maintained cottage we have stayed in but it was cosy. The bathroom had a very good shower and the heating was effective. Parking was a real problem. Although the streets around were free to park finding a space required several laps around the blocks. Needless to say frustrating at times. Although there was noise from the pub and immediate neighbours it was not too loud. The cottage was very conveniently located for Falmouth town and only a few minutes stroll. Our two dogs appreciated the garden and we were able to sit out on the chairs in early October and enjoy the views. Guest from Langebrück stayed for 7 nights. The first impression of this cottage is disappointing. After a couple of nice coloured Cottages you arrive in front of an old and dirty looking house, dark grey and very old. But the inside of the cottage is nice and comfortable although every room is very small. There are all things you need inclusive a washing machine. The View out of the kitchen window is very nice (Harbour view). The location is the best if you like the town and the harbour. To the beach it is a long walk. If you like good food and drinks and loud music the harbour cottage is the best choice, because next door you will find "The boathouse". On friday and saturday nights rather reserve a table there. I was very disappointed, that someone else lives in Harbour cottage, and this neighbour was very exiting. I don't know which job he does but every night at 12 pm he started talking, listening to music running through the flat someday till almost 3 am. In summary we had a nice week in Falmouth. It is a good starting point for trips to the south and west of Cornwall. Very many thanks for taking the time to leave a review, and I'm delighted that you had a good week in Falmouth, liked the location, and found everything that you needed in our cottage. I certainly see your point about Harbour Cottage not having the 'curb appeal' that it might. It is old - it dates from the 1800s which hopefully is part of it's charm - but the reason it's 'dirty looking' is that the front elevation is pebble dashed on grey render, so it can't really be painted over. One of our planned jobs when sufficient funds can be raised is to strip all the pebble dash and render from the front of the property, and then to re-render it smooth and paint it a lovely pastel 'coastal' colour as it deserves. I'm so glad you found the interior nice and comfortable though. You're certainly also right that the rooms are small, as hopefully is explained thoroughly in the description of the cottage. I think an estate agent might call it 'petit and bijou' but I think all of our guests have found it genuinely quaint and cosy, and hopefully everyone has known exactly what to expect. The Boathouse gastropub next door-but-one is indeed busy and it's definitely worth reserving a table here. They have also just started to offer our guests 10% off food purchased which we are delighted about. Again, this is all stated in the advert for the cottage, so hopefully everyone knows exactly what they need to know when booking. As to the noisy neighbour, I am extremely sorry to hear about this experience. Because of this, the neighbour in question should be moving out shortly so this won't be a problem in the future, but I am so sorry that this happened, and I hope it didn't colour your view of Falmouth or the beautiful county of Cornwall, and that you'd consider returning for a holiday in the future. Guest from Amtzell stayed for 7 nights. it was a nice short holiday !! it was a very good journey in cornwall !! we loved the place and the cottage and the service was very good !!!!!!!!!!! It was lovely, I actually got some rest for a few days and slept well. Thank you for providing the accommodation at such short notice and being so patient. Guest from Faversham stayed for 5 nights. Harbour Cottage has fantastic views of the Harbour and the estuary. I could have spent hours just looking out of the window -even in December. The cottage is very cosy but there was plenty of room for three of us. You can't park near the cottage due to double yellow lines but we had no trouble finding somewhere within a few hundred yards. The kitchen has enough basic equipment for simple cooking. The cottage is in an excellent location for walking to and around Falmouth town centre. If noise bothers you may not like the pub next door with the drinkers in the garden until closing time but most nights it was quiet shortly after 11pm. All in all this is the best self catering accommodation we have found in the Falmouth area and we'll be back if it's available next time we visit. We had a great stay in Harbour Cottage. It was warm and cosy; although bathroom very small. What a great view and location for getting around Falmouth. Many thanks for taking the time to post a review, we always appreciate any feedback and the opportunity to do things better. I'm delighted that you were happy with the location and facilities that Harbour Cottage offers. We do recognise that the property would benefit from a degree of updating, particularly to the front elevation, and we intend to do this as soon as funds permit. The bathroom has been newly refurbished and we have received many compliments on it; we look forward to being able to lavish the same time and attention on every aspect of the cottage, but hope that until then people will continue to find it homely and welcoming. Thank you for staying with us. Guest from Petersfield stayed for 6 nights. Great view and location. Within easy walking distance of town, with its shops, and ferries. Occasionally difficult to find a parking place. Right next door to a good pub. Hi, thanks so much for taking the time to leave a review for Harbour Cottage. I'm delighted that the property was to your liking and hope we can welcome you back in the future. We've always been fans of the pub next door but one as well - we make a point of visiting and enjoying the views/beer/food as often as possible. :) Thanks again for your feedback, it is always appreciated. With my warmest regards, Lee-Anne.